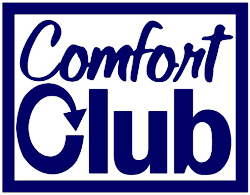 The Comfort Club is a total comfort and preventative maintenance solution. Just like a car, our air conditioning and heating systems need regular maintenance in order to operate at the level they were designed to achieve. Through regular biannual inspections and maintenance we are able to make your system purr. Unlike other preventative maintenance programs, the Comfort Club is a comprehensive solution including all the cleaning, tuning, and lubrication your system needs while offering you a higher standard of care. Is this company someone I want to do business with exclusively? Are their business practices preparing them for the future - If they cannot stay in business long enough to fulfill their end of the agreement than it is not in your best interest to sign a contract with them. Different Maintenance Agreements offer different included services and can drastically alter the value of the agreement. Make sure to note the types and regularity of the included cleaning. Be careful some agreements do not include cleaning and will not satisfy warranty requirements. Make sure the agreement fits your needs. Does it fit the hours you work? Is it easy to schedule your appointments? Does it include all the maintenance your system needs? the air conditioning drainage system. Check out our Comfort Club flyer! To learn more about the industry and Aardvark in general, visit our blog today!